Home News What’s behind Brazil’s medtech success? What’s behind Brazil’s medtech success? Renowned for its prowess on the football field, Brazil also boasts an innovative and dynamic medical devices sector. ABIMO (the Brazilian Medical Devices Manufacturers Association) outlines what's behind this industry which accounts for 95% of the internal market and which generates 60,000 domestic jobs. Brazil is seen as one of the most lucrative healthcare markets in Latin America, consistently being placed among the top five medical tourism destinations in the world. According to the Brazil Healthcare Market Outlook 2020 study by ReportLinker, an international marketing research company, an improvement in the country’s living standards has resulted in steadily increasing healthcare expenditure, which is driving the sector. The CAGR (compound annual growth rate) for medical expenditure in Brazil has been forecast at approximately 5.8% between 2016 and 2020. Among the main reasons behind the increasing healthcare expenditure are the prevalence of various diseases, including hypertension, cancer, tuberculosis, obesity and diabetes. The report also emphasises the positive impact of major mergers and acquisitions that took place in the sector, in 2015, on the country’s healthcare market and IT industry. The healthcare products sector in Brazil is segmented into: odontology (equipment, consumable supplies and instruments), laboratory (equipment, reagents and consumable supplies), radiology (devices, accessories and consumable supplies), medical devices (non-electric furniture, electro-medical equipment, surgical instruments, physiotherapy equipment and hotel equipment), implants (orthopaedic, neurological, cardiac and others) and consumable supplies (hypodermic needles, fabrics, adhesives and others). The industry is innovative, proactive and competent, able to supply 95% of the domestic market and exports to countries such as Angola, Chile, Spain, the US, India, Mexico, Russia, Turkey, Saudi Arabia, Iran, Colombia, the UAE and China – generating approximately 60,000 of the country’s jobs. Export sales of the sector’s products just for the period January to October 2016 came to a total of under US$ 560 million. Health device companies in the US, Germany, China, Japan, the UAE, Russia and African countries, among others, are increasingly turning their gaze to the Brazilian market. Competitive prices and growing investment by hospitals into solutions that optimise time and facilitate daily healthcare centre management routines are the main arguments used by international companies looking to do business in the country. In the assessment by ABIMO (the Brazilian Medical and Dental Devices Manufacturers Association), Brazil, with its growing market, represents an excellent opportunity for companies who are looking for medium and long term business. Another fundamental factor was the change to Act 8,080/1990 in January 2015, which came to allow foreign capital companies to participate directly or indirectly in healthcare assistance and in running private institutions. The new legislation also allows for companies to operate in hospitals, general and specialised clinics, corporate customer services, laboratories and philanthropic services, further expanding the interest in Brazil as a target market. Innovation has contributed to Brazil’s medical-hospital dynamism. Companies are increasingly investing in innovation and are encouraged to innovate within a highly competitive environment. The competition spans from multinationals with innovative technologies and huge product portfolios to micro-businesses. Since the 1970s, quality certification and systems have been consistently worked on by ABIMO, which created the Innovate Health Award in 2010, aimed at stimulating the country’s R&D into new technologies. 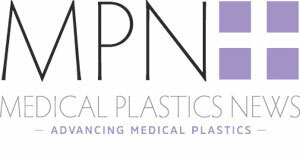 One award is given to an industry in the medical-hospital sector and another to one in the odontological sector for a product or service that stands out as an innovation in the national production chain and that has, in that sense, contributed to the development of technologies that champion quality in healthcare.